Coming soon. 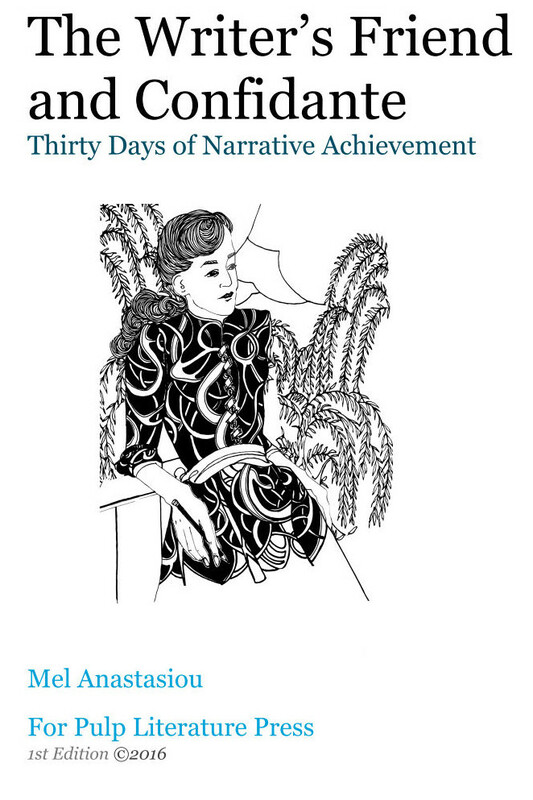 This new 30-day guide from Pulp Literature Press was inspired by the editors’ admiration for the strength, endurance, and talent of NaNoWriMo writers, as they rock Novembers from year to year. Clear your mind and reinvigorate your muse with colouring. 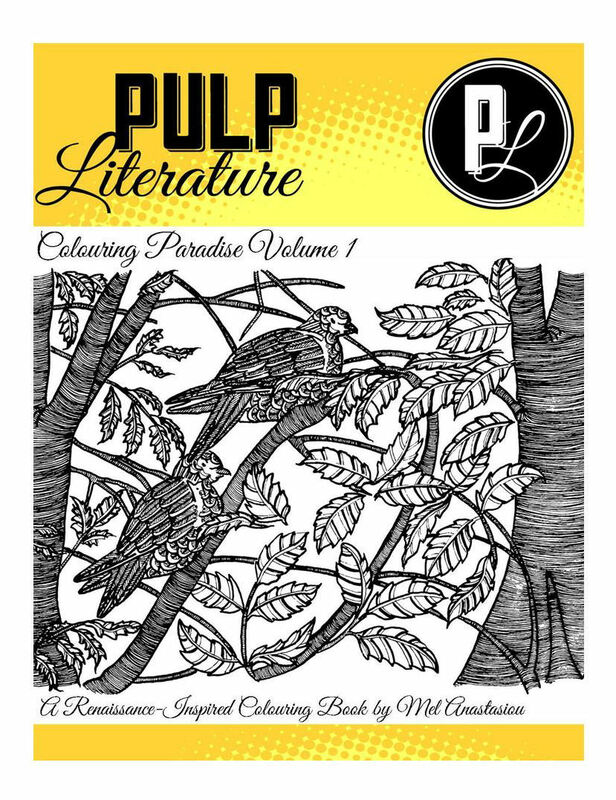 Colouring Paradise: a Renaissance-Inspired Colouring Book is available in print and pdf formats, providing 14 beautiful images on high quality paper by Mel Anastasiou for your colouring delight. 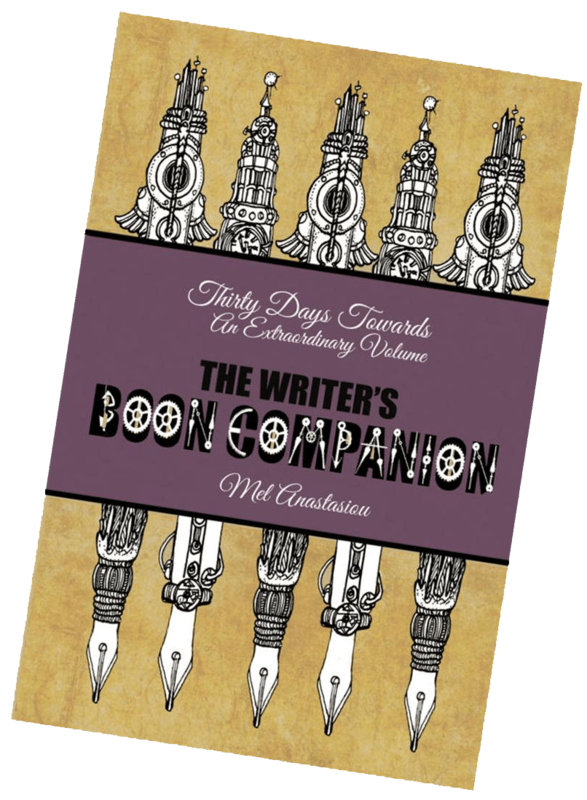 The Writer’s Boon Companion: Thirty Days Towards an Extraordinary Manuscript. Your choice of a print or digital subscription (or both!) to Pulp Literature. These beautiful softcover digest books are perfect for your weekday commute or summer beach reading — a rainbow of fabulous fiction!